The 81 meter long, 2959 dwt tanker Frigg became disabled off Lista, Norway in heavy seas. The Redningsselskapet, Norwegian Society for Sea Rescue, dispatched a rescue boat who took the tanker under tow to Flekkefjord. No reports of injuries, damage or pollution being released. 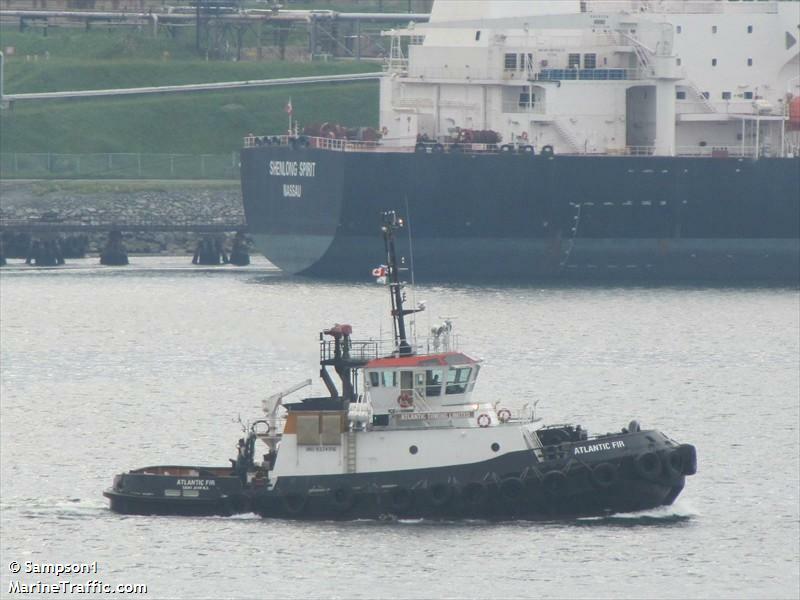 The 30 meter long tug Atlantic Fir became disabled on the St. Lawrence River near Quebec City, Quebec, Canada. The Atlantic Fir en route to Newfoundland with a barge in tow suffered mechanical problems with its suction pumps. The tug requested assistance and a sister tug came to it’s assistance. All three vessels reported off l’Île-aux-Coudres. No further details reported.